Many of Hands On Nashville's Nonprofit Partners accept donated items. Listed below is a wish list of items needed to help with the continuation of their successful programs. To donate your items, you can contact the agency directly. 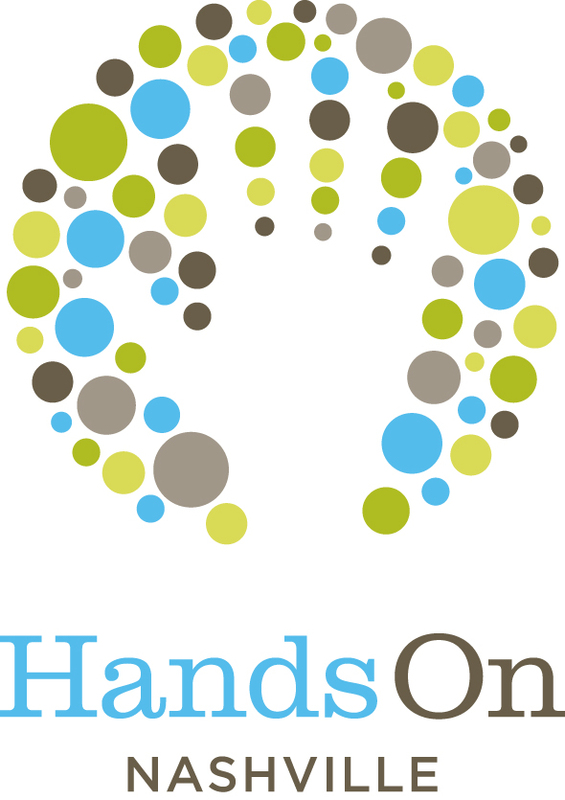 Please let the agencies know that Hands On Nashville sent you. Thank you for your support of Middle Tennessee's nonprofits! Immersion Retreat​ needs arts and crafts supplies, and financial contributions. Call: (615) 416-0338 or email: info@immersionretreat.org. Morning Star Sanctuary: needs gift baskets to welcome new residents to the emergency shelter; personal items including full size toothbrushes, toothpaste, shampoos, conditioners, hairbrushes, combs, soaps, deodorants (for both men and women), body washes and lotions; ponchos, paper goods for kitchen and baths; trash bags and other cleaning supplies; gift cards (grocery stores, Waffle House, CVS, Cracker Barrel, Walmart, Target, etc); bus passes; gas cards and much more for clients of the shelter and those transitioning into permanent housing. Nashville Diaper Connection needs all sizes of baby diapers and pull-ups. Click here for drop-off locations. One Voice Nashville ​needs journals; snacks for youth; notebook paper; space for trainings, meetings, and Story Showcase events. Email mm@onevoicenashville.org. Open Table Nashville​ needs pop-top meals and protein drinks, low-temp sleeping bags, and propane and propane heaters. Email info@opentablenashville.org or call (615) 415-0141. Pet Community Center needs cat litter, puppy pads, cat food (canned wet and dry food), distilled water (gallons), sardines (no mustard or hot sauce), HE laundry detergent, disposable puppy pads/bed pads, paper towels, blue dawn dish soap, pens, white copy, paper & binder clips, gift cards to office supply stores. For a full list of needed items, click here. Call: (615) 512-5001. Ride for Reading needs new and like-new books for grades Pre-K-4th Grade, volunteer incentive swag/giveaways (quantity of 40-50), Wal-mart or Kroger gift cards, one desk or floor lamp, printing paper. Additional needed items are updated periodically on our Ride for Reading Wish List: click here. Call: (615) 348-7658 or email: info@rideforreading.org. Tennessee Environmental Council needs mulch, shovels, yard/landscaping equipment, and working computers. Call: (615) 248-6500 or email: tec@tectn.org. ThriftSmart needs gently-used clothing, shoes, housewares (including linens and appliances), furniture, books, and electronics. Donations can be dropped off at 4890 Nolensville Pike in Nashville. For FREE donation pickup of larger items, call (615) 833-8200 ext 21 or submit a pickup request online.